On the back of urbanization and industrialization, the compressor rental market has been advancing steadily. In the years ahead too, it is slated to hold on to the pace of growth owing to improvement in their designs and technologies that is making them more efficient. Depending upon their design and function, compressors can be broadly segmented into two – centrifugal compressors and positive displacement compressors. Compressors can also be portable and hence can be used in domestic and industrial activities. This unique perceived benefit is also helping their compressor rental market to grow. Air compressor rental market, on the flipside, is hobbled by the steep cost of maintenance and contamination they cause of the surrounding air on account of the oil lubrication. They also cause noise pollution and this has been further crimping their uptake. Helping to overcome the challenge, however, is the emergence of oil-free compressors which are seeing swift uptake due to their positive impact on the environment. Currently, the construction sector accounts for maximum demand in the market for compressor rentals on account of their requirement in piling, blasting, spraying, and operating pneumatic tools require. Portable air compressors, particularly, are seeing quick adoption for carrying out the tasks. Caterpillar Inc., United Rentals, Inc., Atlas Copco, Ingersoll Rand, and Aggreko plc. are to name a few prominent players in the global market for compressor rentals. Currently these companies are expending money on research and development to come up with cutting-edge products that would consume less energy and be more effective. Compressors are devices that convert mechanical energy into pneumatic energy by using compressed air and gas. As this compressed air or gas is released, a considerable amount of energy is trapped, so as to utilize it for a variety of purposes, such as air transfer, cleaning, and pneumatic device activation. As the rate of urbanization and industrial activities increases, the compressor rental market will advance rapidly. 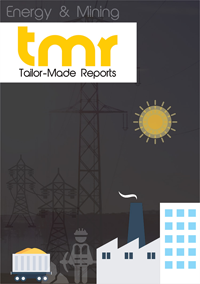 The report provides key information about the compressor rental market trends, opportunities, growth drivers and challenges, along with aspects such as market size, supply and demand ratio, and detailed market segmentation. The leading market players are analyzed in terms of their market shares, product portfolios, and business strategies. With the development of designs of compressors, more efficiency has been attained so as to meet the demands of various end-users. Some of the compressors being portable, are extensively used in industrial and domestic activities, benefitting the growth of the global compressor rental market. Technological advancement in the field of compressors is expected to boost the adoption rate of compressors. One example is that of air compressors. Traditional air compressors are run at full speed, and have to be stopped when they reach the right pressure. Then, the compressed air is stored to allow pressure hysteresis. As this is a wasteful practice, technological upgrades in air compressors have been carried out to control speed, thereby saving energy, and contributing toward market growth. Air compressors facilitate transfer of air in several industries such as chemical plants, oil extraction, food and beverage, automobiles, and transport. This is expected to expand the global compressor rental market. On the other hand, factors such as high maintenance costs and the contamination of air caused by oil lubrication are expected to limit growth. Also, oil-free compressors can be noisy, and thus can restrict demand for them. The compressor rental market can be segmented based on end user, technology, types, and geography. On the basis of their design and function, compressors can be divided into centrifugal compressors and positive displacement compressors. In terms of end user, the market for compressor rentals was dominated by the construction segment. The construction segment gained prominence because the execution of construction and building activities such as blasting, piling, spraying, and operating pneumatic tools require portable air compressors. Oil-free air compressors have been growing popular recently as they supply non-contaminated air. The portable air compressors, on account of the convenience they offer, are high in demand in off-site operations. The key end-user segments for air compressors can be industrial, commercial, and residential. Industrial air compressors are similar to commercial air compressors; only they are more powerful and bigger in size and volume. Commercial level air compressors are not very portable when compared to residential ones, but they are certainly more powerful. They can run for a long time without a refill. On the residential level, air compressors are used to spray paint, fill air in balloons, balls, and tires. These functions are generally conducted with electric air compressors, which are ideal for domestic purposes. As the demand for air compressors in all these sectors increases, the compressor rental market is slated to present significant opportunities. According to geography, the key segments can be Asia Pacific, Latin America, North America, Europe, and EMEA. The region of Asia Pacific has been exhibiting substantial growth, thanks to the presence of a number of capital-intensive companies that are inclined towards renting compressors instead of buying them. Large- scale construction projects in the countries of Asia Pacific, such as China, Thailand, and India, will further fuel compressor rental market growth. Some of the key players operating in the global compressor rental market include Caterpillar Inc., Ingersoll Rand, Atlas Copco, Aggreko plc, and United Rentals, Inc. One key development in the competitive landscape is the launch of new GA VSD+ oil-injected, compact, rotary screw compressors by Atlas Copco in 2013. These air compressors are designed to cut energy consumption to half the amount required by traditional compressors of similar type. The leading companies in the global compressor rental market have been emphasizing on better product offerings through increased investments in R&D activities.